Kevin’s Meandering Mind reported om 2008 that the US Library of Congress has joined with Flickr to put thousands of photos from its archives up on Flickr for viewing and use by us, the people. And oh, how lucky we the people are! I may jest, but it’s been a few years since Flickr started hosting the images and I wanted to take a look at how many had been added since then. The quantity and quality is impressive. The Flickr stream is identified as Library of Congress and feature images of people throughout history, going back through wars, lifestyles, all of American and world history. 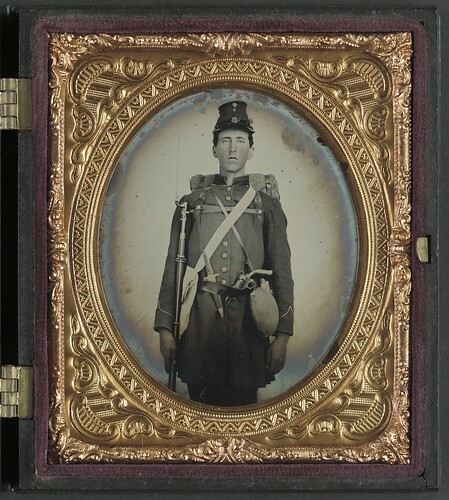 I look through the faces of “unidentified soldiers” and wonder if one or more of these is related directly to me, their images preserved forever but their identity not. Were any of my female (or male) family members in the protests for women’s right and suffrage? 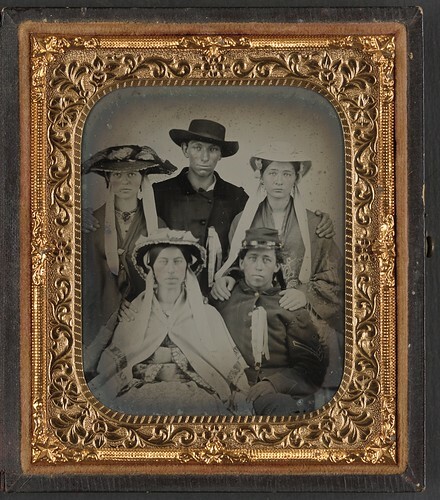 My family history is full of soldiers, loggers, nation-builders, and nation-destroyers. 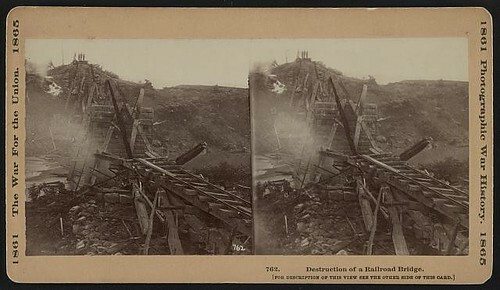 We’ve got them all in my family tree, so I wonder if a family member was a part of this war-time destruction of a bridge in a stereoscope image. I know that many family members joined up in Michigan to fight in World War I, so maybe they passed through Camp Custer in Michigan, captured with this unusual panoramic portrait with the camera elevated 500 feet into the air. I’d like to see the picture of the camera setup! Who knows what you may find as you dig through the sets on Flickr. It’s a wonderful visual tour through history, especially our own history. I look forward to more images being added to the set as I know the Library of Congress must have millions of photographs to share with the world. 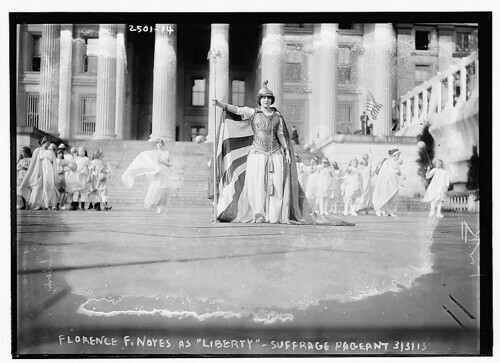 This entry was posted in Genealogy Resources and tagged flickr, historical photographs, history, library of congress, library of congress archives, library of congress photographs, photo archives, photographs. Bookmark the permalink.